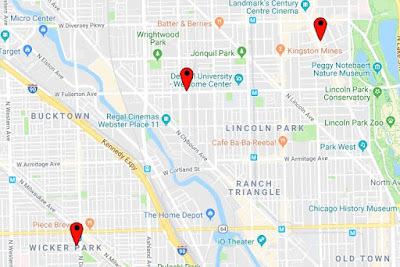 UPDATE NOV 11TH, 7PM — Chicago police tonight issued a community alert in which they said the 7-Eleven at 2010 North Damen in Logan Square was also robbed by the crew around 5:45 a.m.
A robbery crew held-up three convenience stores overnight—two in Lincoln Park and one in Wicker Park. The store clerks all reported being punched by the offenders, but no one was seriously injured. No suspects are in custody. The first robbery was reported at 1:40 a.m. by an employee of 7-Eleven at 1508 North Damen. He told police that three men entered the store, one punched him in the face, and another claimed to have a gun. The crew took money and merchandise, then climbed into a black sedan that fled westbound. Police said the offenders were three black men in their late 20’s who were wearing ski masks. They are all between 5’10” and 6-feet tall. 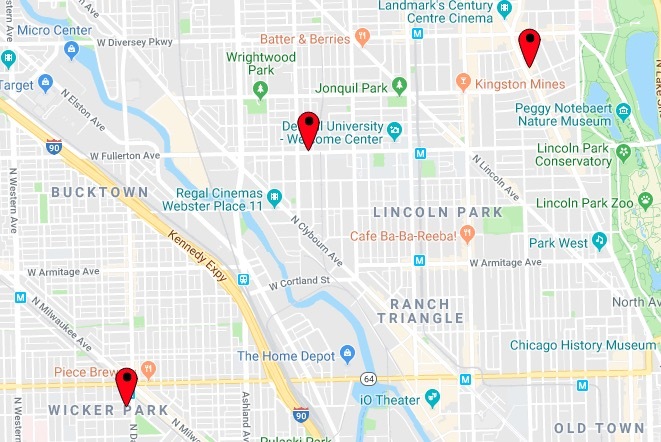 Then, at 5:25 a.m., a 7-Eleven clerk reported being punched and robbed by three masked men at the 2619 North Clark location. The men took merchandise and the register contents, then fled south on Clark. Police said the victim offered offender descriptions that were identical to the Wicker Park crew. Finally, at 5:34 a.m., another Lincoln Park 7-Eleven was robbed at 1349 West Fullerton. Again, the store employee reported that three men entered the store and took his wallet and phone, the register contents, and Newport cigarettes before running away southbound on Wayne Avenue. The offender descriptions were identical to the other two cases, except the men were said to have worn bandanas over their faces instead of ski masks.